I advocate that each group of managers and leaders establish a list of behaviors that they intend to follow as a group. Reason: when expected behaviors are vaporware or wishy-washy concepts that are not specific, it is impossible for the team to hold each other accountable for abiding by the rules. It is a mistake to have a long shopping list of 20-30 rules because it becomes too complicated to remember them all or convey them to each other. I think 5-7 behavioral rules work well for a management team. One rule I wish every group would adopt is the “No Bologna” rule. This idea is that we are all on the same team here, and we are not here to play games with each other. Trying to impress the other team members by pulling rank or outsmarting or embarrassing each other are common tactics of low performing management groups. If someone on the team wants to be disruptive, then the opportunity is there to bring down the effectiveness of the entire group by orders of magnitude. I have seen it happen numerous times. 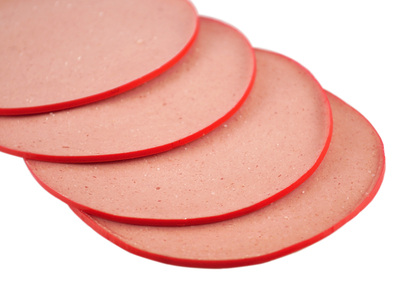 If a team adopts a “No Bologna” rule, then a good technique is to have some kind of signal that can be given when someone forgets to follow the rule. Perhaps it might be a raised index finger or some other recognizable sign, like a “time out” signal that the team has agreed to. One important concept is that the team needs to agree there will be no negative repercussions for anyone giving the sign, even if it is the boss who is causing the problem. Having a pre-selected, and safe, signal allows the whole team to police the behaviors, and that permission quickly extinguishes the wrong behavior. I was once with a team that was world class at making jokes at the expense of each other. The jokes were digs or barbs that were intended to be in jest and always taken that way on the surface. Unfortunately there was damage being done under the surface when people picked on each other, even if it was supposed to be a joke. I suggested that they invent a hand signal to use when someone made a joke at the expense of another individual in the group. Since this was the third item on their list of rules, they elected to use three fingers to indicate someone violated the rule. The results were simply amazing. In less than an hour the behavior that had been so firmly engrained in the team’s make up was totally extinguished. It only took a couple times of one member giving the sign to another for people to catch on and stop doing it. The results in this group were transformational. The little barbs stopped, and from that point on the tone of the group was much more supportive. They still had fun and made jokes; they just did not do it at the expense of others. Take the time with your team to invent some behavioral rules, and also invent some kind of signal to give if the rule is broken. You will find that it can make a big difference in the culture of the entire team. This entry was posted on Saturday, October 18th, 2014 at 9:35 am and is filed under Candor creates trust, Communications, Enabling Actions, leadership, Teamwork. You can follow any responses to this entry through the RSS 2.0 feed. You can leave a response, or trackback from your own site. What a simple and effective way to establish and reinforce positive norms. When Ed Breen and Jack Krol took over Tyco after their ethical scandals, they established new Shared Values, then defined Descriptors of those Values, then defined Behaviors of those Values. I did the same at a company where I was CEO. Four words that defined our new Values, then short or long Descriptors of what each value meant. For the value of “Leadership,” we defined a graphic of what we meant by leadership at this firm. It was powerful, helped our daily decision-making, and inculcated the Values in the firm. Thanks Bob. You and I sing from the same hymnbook.